Freud’s “On Narcissism”: An Introduction, 1991. Joseph Sandler, Ethel Spector Person and Peter Fonagy (Eds.). New Haven, CT: Yale University Press. This book contains the text of Freud’s 1914 paper, and commentary by 10 authors. I had seen it cited as a reference somewhere, and was interested because I have done a lot of reading about narcissism. I have narcissism paranoia. I see it all around me. So coincidentally (or NOT! ), I have a narcissistic character trait of my own. I had the call number written on a post-it and carried it around in my wallet until it became well worn. When I read Gregory Rochlin’s (1972) Man’s Aggression, and found him talking about narcissistic injury and threats to narcissism (normal or pathological) as a cause of aggression, I decided to go ahead and check the book out. The essay by Freud and the 10 commentaries are very Freudian, talking endlessly about ego, libido, primary narcissism and internal and external “objects” (people). But the book was published in 1991, relatively recently in the history of psychoanalysis. It is dry in stretches, but overall I enjoyed reading it. I really appreciated the Kernberg and Ornstein contributions, integrating the Freudian view with the self psychology of Kohut. The concept of narcissism as we know it today encompasses several different things. It can be self-love, which sounds like high self esteem, and can be a good thing. It the opposite extreme it can mean self-absorption and self-obsession, which is usually a bad thing. It can be healthy or unhealthy, normal or abnormal, pleasant or annoying. Unhealthy, pathological narcissism is especially annoying when we encounter it in other people. By covering some of the early history of narcissism and many later developments, this book has helped me unravel some of this complexity. Yes, it’s psychoanalytical stuff, which can be highly speculative and abstract, self-indulgently terminological, even though confidently stated. But psychoanalysis is based on observation, and the truth is in there somewhere, sometimes truth that empirical psychology doesn’t get to. Freud’s paper includes an expansion of libido theory separating ego-libido and object-libido and presents a “normal” developmental sequence from autoeroticism through primary narcisisim then secondary narcissism. The paper distinguishes two types of object choice, one anaclitic and one narcissistic, being drawn towards objects that are opposite are similar to the self. Freud also makes a significant movement towards his three part structural theory of the mind, exploring ego ideal and conscience and foreshadowing his later presentation of the superego. 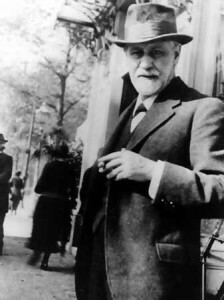 Freud tries to provide insight into the cause of psychoses. The paper was partially a response to Jung’s and Adler’s criticism of Freud’s libido theory. What appears hear is more “raw data” than an actual review. These are notes and quotes. Some of my commentary and “asides” appear in brackets. Sigmund Freud doesn’t mention the ‘ego.’ He talked about ‘das ich’, the ‘me’. The English translator, Strachey translates ‘das Ich’ as ‘the ego.’ In the early papers das Ich usually stands for the self. From 1923 (The Ego and the Id ) onward it has a restricted meaning and refers to a “mental agency with its own attributes and functions.” We can think of it as “the executive apparatus of the mind, holding the balance among the often conflicting demands of the instinctual dries, the superego, and external reality.” In the 1914 paper the concept of das Ich was in a transitional phase. Rank (1911) thought narcissistic allocations of libido could be part of normal development. Freud(1914) went further and said narcissism could be “the libidinal complement to the egoism of the instinct of self-preservation.” The 1914 paper introduces a major change in libido theory: “between autoerotism and alloerotism, he has interpolated a stage in which the libido is applied to the ego, which is thereby constituted.” The paper for the first time distinguishes between object-libido and ego-libido. Anaclitic object choice (we marry our parent) vs. narcissistic object choice (we marry ourselves). People may exhibit both tendencies. “Freud tells us that the development of the ego consists in a departure from primary narcissism, which at the same time gives rise to a vigorous attempt to recover it. Primary narcissism is abandoned by displacement of libido onto an ego ideal imposed from without; at the same time the ego has sent out libidinal object cathexes. If the ego has become impoverished in this way, it enriches itself once more from its satisfactions in respect of the object and by fulfilling its ideal. Self-regard thus has three sources: the residue of infantile narcissism, fulfillment of the ideal, and satisfaction of object-libido. All analysts will agree with this summing up, although some (including myself) believe that megalomania and self-regard do not belong to the same class of psychological facts.” pp. 68-69. “Elements of caretaking functions, implicit in the narcissistic tie of the patient to the analyst, are by now part of ordinary psychoanalytic technique. This implies that a not inconsiderable share of the analytic works consists of confronting the patient with the needs of his narcissistic transference and the defensive function of his narcissism vis-à-vis his rage. This includes, however, integrating failure with success through pointing out the constructive aspects of the patient’s failure, discovering the strengths lying behind his weakness as a negative image of a growth-need, sometimes to be seen as a quest for cohesion, instead of envy or desire for affection. As far as the patient is concerned, this validation has been compared to the function of a mirror. It is central to the therapeutic action of psychoanalysis, in the sense that the analyst communicates to the patient an image of the person he can become instead of the drive-catheter monster he fears he is (Loewald, 1960). Interpretation “upward” is often necessary to correct the results of the parents’ misnaming of affects. If the need for growth, initiative, and individuality and the wish to be “different” are interpreted as oedipal rivalry, the analyst degrades the quest for a healthy self-experience into a destructive part-impulse, thus attacking the patient’s sense of the value of his self. This is often a repetition of the narcissistic rage of a parent who could not bear the child’s individuality and thus promoted the child’s development of a rigid, false self.” (pp. 84-85). “The discovery that man was not master in his own mind was added to the realization that the earth was not the center of the universe and that man was descended from animals. There is, however, a fourth narcissistic mortification that is undeniably connected with the discoveries made both in and outside analysis in recent decades: not only is man not master of his own mind; he is also far less “autonomous” in his social reality than he would like to believe. Man’s social anxiety (and with it his corruptibility) is much greater than Freud thought–perhaps because he himself had such an immense reservoir of social courage.” p. 86. Does not look at pathological narcissism as a character pathology or narcissistic resistances. New outpouring of contributions on the psychology of love, particularly French: Braunschweig and Fain (1971), David (1971), Aulagnier (1979), Gantheret (1984), Chasseguet-Smirgel (1985), etc. “Narcissism” refers both “to the libidinal investment of the self (Hartmann, 1950) and to the clinical process of (normal or abnormal) self-esteem regulation.” p 141. Kernberg sees “self” as self images and self representations developed through real or fantasied interactions with others (objects). He sees “object-libido and self-libido as intimately related to each other and also intimately related to the parallel investments of self and object representations by aggression.” Pathological, grandiose self “implies a failure or incapacity for [such] an integration of aggressively invested self representations and a corresponding failure to integrate libidinal and aggressively invested object representations as well.” p.l41. Freud believed that self-regard suffers with investment of libido in the object, which must be replaced by love returned by the object (idea questioned by Chasseguet-Smirgel 1985). Kernberg believes love of another raises self-esteem when mature ego-ideal is projected onto loved and idealized object. Neurotic love involves primitive idealization and other sources of feeling of inferiority. Normally unrequited dissolves without lowering self-esteem as it “enriches the experience of the self and opens new channels of sublimation.” Neurotic love when unrequited lowers self-esteem. Freud discusses who inability to love lowers self-esteem. Kernberg believes “that loved objects are normally internalized in the ego,” and the love received increases self-esteem. P 142. “Elaborating on Freud’s thinking in the light of the contributions to this subject by later generations of psychoanalysts, we might say that self-esteem fluctuates according to gratifying or frustrating experiences in relationships with others and a person’s sense of being appreciated or rejected by others, as well as according to the evaluation by the ego-ideal of the distance between goals and aspirations, on the one hand, and achievements and success, on the other. Aulagnier, P. (1979). Les destins du plaisir. Paris; Presses Universitaires De France. Braunschweig, D., and Fain, M (1971). Eros et Anteros: Feflexions psychanalytiques sur la sexualite. Paris: Payot. Chasseguet-Smirgel, J. (1985). The Ego Ideal: A Psychoanalytic Essay on the Malady of the Ideal. New York: W.W. Norton. David, C. (1971) L’Etat amoureux: Essais psychanalytiques. Paris: Payot. Gantheret, F. (1984). Incertitude d’Eros. Paris: Gallimard. “On Narcissism” needs to be considered in the context of the progression of Freud’s development of his ideas. When written (1914), he was beginning to turn from libido to the functioning of the ego and the internal world. He had already written about “self-preservative instincts” (1910). In 1915 he would write “Papers on Metapsychology,” with “Mourning and Melancholia.” In 1916 he wrote “Some character types met within psycho-analytic work.” But in 1914 he had not yet developed a theory of internalization or identification to explain the internal world. The theory of identification is in “Mourning and Melancholia.” Beyond the Pleasure Principle (1920) contains the second and final revision of instinct theory. The Ego and the Id (1923) contains the three part structural model. These authors find problems with Freud’s theory of primary narcissism. Melanie Klein did not believe there is a stage preceding object relations (neither autoeroticism or primary narcissism). “Klein emphasized the constant interplay of projection and introjection in the building up of an internal world of objects to which the ego relates . . .” p. 160. Klein’s concept of “positions” refers to “states of the ego,” with specific anxieties, defenses, and internal object relations. These include the paranoid/schizoid position and the depressive position. The child moves through these in the course of development. Paranoid/schizoid position includes narcissistic object relations, paranoid anxiets, and defenses of denial, splitting, and projection. “The basic developmental task is the building up of a secure enough good object in order for further integration to occur.” pp. 160-161. Klein’s view of narcissism is in “Notes on some schizoid mechanisms” (1946). This paper contains a description of projective identification, which involves splitting and projection of the good aspects of the self onto the object, which is idealized. Destructive aggressive impulses are projected elsewhere. Schizoid objects relations involves either remoteness or clinging compulsive ties. The ego is depleted and the individual complains of emptiness. There can be flip from idealization to denigration, and this involves envy. In Envy and Gratitude (1957), Klein describes envy as a manifestation of destructive impulses. She quotes Chaucer. “It is certain that envy is the worst sin that is; for all the other sins are sins only against one virtue, whereas envy is against all virtue and against all goodness.” p. 165. Segal and Bell believe narcissistic rage may be an expression of envy, rather than as in Freud, the discovery of the goodness of the external object. Klein associates envy with the destructiveness of the death instinct. “Some writers have suggested that self-esteem is a healthy remnant of primary narcissism. To our way of thinking, however, healthy feelings of self-esteem have more to do with an internal situation in which there is a secure relation to a good internal object rather than an ideal one.” p. 172. Kleinians have elaborated on Freud’s idea of the destructiveness of narcissism. “From this perspective, stable narcissistic object relations can be achieved only when the depressive position has been negotiated, for it is in this process that there is a differentiation of the self from object.” p. 172. Narcissistic personality trait denies the reality of dependence on the external object in favor of a state of narcissistic self-sufficiency. The concept of narcissism challenges the conflict theory of psychoanalysis and its role in treatment. This was followed by the replacement of the topographic model by the tripartite structural model, and the eclipsing of id psychology by ego psychology, with associated changes in psychoanalytic technique. A single-axis theory of narcissism (1914) was too narrow and could not accommodate the observational data. Hartmann conceptually separated the ego from the self (1950, 1956). In the 1960s narcisissim became a central piece not only in ego psychology, but in object-relations theory (Jacobson, Lichenstein, Kernberg) and self psychology (Kohut). Joffee and Sandler (1968) challenged psychoeconomic theory of the ego and shifted focus to affect states rather than drive discharge. Symptoms were explained as effort to deal with painful affect. Kohut found narcisstic patients used analyst as an echo and affirmation and also put him on a pedestal as all-knowing and perfect. Both types of transference lead to inevitable disappointment, triggering narcissistic rage. Kohut assumed two separate lines of development for narcissism and object-love. It was not a tradeoff. Kohut believed that “infantile and childhood traumas … left the psyche with insufficient structure or with excessive defensive structures–those characteristic manifestation of “narcissistic pathology” that he observed and described in depth.” p. 189. Mirror transference results from infantile “grandiose self” and idealizing transference from “idealized parent imago.” These result from repressed and/or disavowed infantile needs and wishes. “Kohut considered narcissism per se as the normal ‘fuel’ for structure building. Pathology in this context is not a pathology of narcissism but a pathology of the structures of the self (deficiencies, defects, or defensive structures), owing to inadequate narcissistic cathexis, not to excessive amounts or pathological forms of narcissism.” p. 190. Henseler thinks narcissism springs not from a cathexis of libido in the ego, but from the relationship with the parents. Parents idealize the baby and idealize their relationship with the baby. Primary narcisissim was seen as oriented toward the self and toward the mother in the primary relationships; see Lou Andreas-Salome (1921), Balint (1937, 1960 The Basic Fault). Henseler describes Balint’s view, “The ultimate goal of all libidinal striving is to recover the original harmony.” p. 200. Freud later distinguishes (1921, 1923) “between object choice and identification and between the wish to have the object and the wish to be like the object.” p. 201. This leads to a distinction between two types of pleasure, “the orgiastic pleasure of instinctual satisfaction and the pleasure of fusion with the object of identification–a pleasure characterized by security and contentment. J. Sandler has repeatedly drawn attention to this point.” p. 202. Henseler says the ideal ego or ideal self is not the same as Freud’s ego-ideal. “The ego-ideal holds before us objectives of perfection to be reached, whereas the ideal self represents an ideal state that we have (or think we have) already reached.” p. 204. Freud’s idea of group psychology involves a share identification with a shared grandiose ideal. Freud got snarled up trying to describe the relationship between narcissism and love of another. The answer has something to do with idealization and identification. Kohut emphasized role of self love in narcissistic object. For Henseler the relation with the narcissitic object involves reality testing. The primary frustrating object experience leads to the construction of narcissism. There is no primary narcissism, only secondary narcissism. “Paradise did not originally exist in this form but was only later constructed, composed out of memory traces of a psycho physiological state, satisfying experiences with objects, and wishful fantasies of happiness and harmony–which can be understood as reaction formations to frustrating reality.” p. 210. The real object has a “third dimension,” involving setting of boundaries.“The otherness of the other, which is experienced as threatening, the impossibility of incorporating him either by identification or by idealization, gives rise to hatred or envy.” p. 211. Narcissism as a withdrawal from the otherness of the other, is free of agression. Coping by withdrawal into a dual union signifies devaluation of the third party. The alternative to withdrawal is to use otherness and boundaries constructively and replace hate with respect and envy with admiration of the other. “Reality-based libidinal and aggressive (rather than destructive) sensual relationships can now come into being. Requires favorable conditions in early childhood. Access to the third dimension through the presence of a third party (father, siblings) allows for healthy not pathological narcissism. “We regularly encounter in these patients the avoidance of hatred and envy, felt to be destructive, in favor of narcissistic object relations, high-flown ideal formations, and a tendency to regress to primary narcissistic forms of experience.” p, 213. “The tendency of narcissistic patients to form a fantasized harmonious dual union in the transference is cut off by brutal honesty, making the analyst’s third dimension clear. “If you are absolutely intent on killing yourself, I cannot stoop you. I do not offer to save your life. I can only offer you a chance to consider with me why you persist in thinking that you cannot continue to live.” p. 213. “The narcissistic disturbance is also mitigated by the more anxiety-free handling of aggression.” p. 214. “[In Freud’s paper] Conscience–prefiguring the superego–observes the ego and measures it by the ideal.” This mixes “object components with components of pure narcissism.” “The incapacity and impotence affecting the subject constitute a narcissistic wound–an attack on his ideal. It may be convenient to substitute a sense of guilt for the feeling of incapacity. ‘I am the greatest sinner on earth’ may conceal the unbearable idea of being nothing at all. Conscience, which lays down boundaries and prohibitions, may save narcissism and the feeling of self-regard. The melancholic dies not of an ‘escess’ of superego but of an ‘excess’ of ideal–and the megalomaniac ideal may disguise itself as a pitiless supergo, as a last resort against a feeling of annihilating inadequacy.” p. 218. Narcissism and its vicissitudes and instinctual conflicts can be studied separately. In analysis, object-related and instinctual transference components can be distinguished from narcissistic transference components. Narcissistic regression is promoted by the analytic session and the ego-ideal is projected onto the analyst. Grunberger believes narcissism has a prenatal origin. 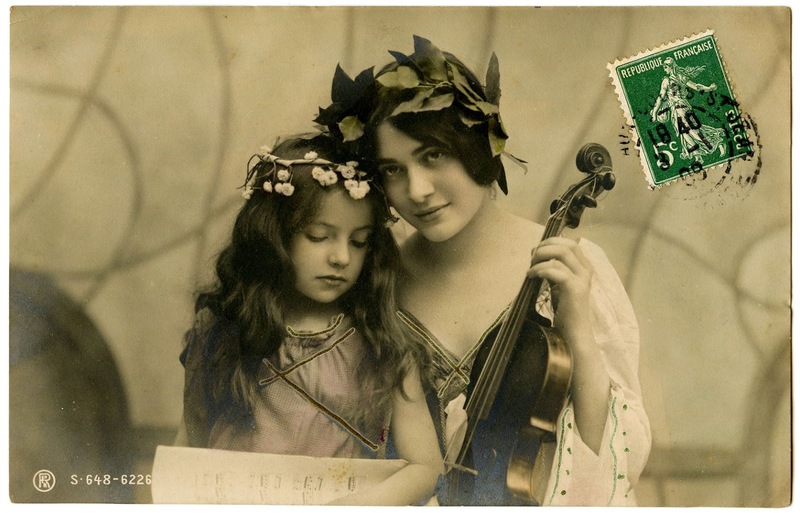 The memory of this intrauterine state reappears as God, mystical systems, contemplation of art, immersion in music, and belief in a golden age. Analysis offers a return of fetal omnipotence to repair a “fundamental traumatic situation” (life characterized by the powerlessness/helplessness the infant eventually confronts). At the same time the analyst is a target of object relations. Analysis can overcome the opposition between narcissism and the instincts. This integration facilitates Freud’s 1914 three sources of self-regard. “One part of self-regard is primary–the residue of infantile narcissism; another part arises out of the omnipotence which is corroborated by experience (the fulfilment of the ego ideal) [competence], whilst a third part proceeds from the satisfaction of object-libido. Melancholia demonstrates lack of coordination between narcissism and instinctual maturation. “. . . melancholia involves a withdrawal of narcissism from the overall ego of the subject, from his body, and from his instinctual life. The overall ego undergoes idealization with the sign reversed [devaluation]. It is focalized and identified with filth that has to be swept away.” p. 223. There is a difference between the narcissism of the transference (idealization and identification) and narcissistic personality disorders, which is aggressive and blocks a therapeutic form of transference in analysis. The second kind is described by Kernberg, and results from the baby’s repeated failure to recover his lost feeling of completeness. The highest form of love, Freud‘s “complete object-love,” conforms to the anaclitic type, represents the “lost fetal self-sufficiency recovered by fusion with the mother,” and “contains the balm . . . capable of healing the wound with which we are “plunged into the world.” p. 227.